Instagram stories are a great way to connect with your followers and give them a glimpse into your personal life as well as exclusive behind the scene updates. However, creating an Instagram story from scratch can be time-consuming. That’s where Instagram Story templates come in handy. 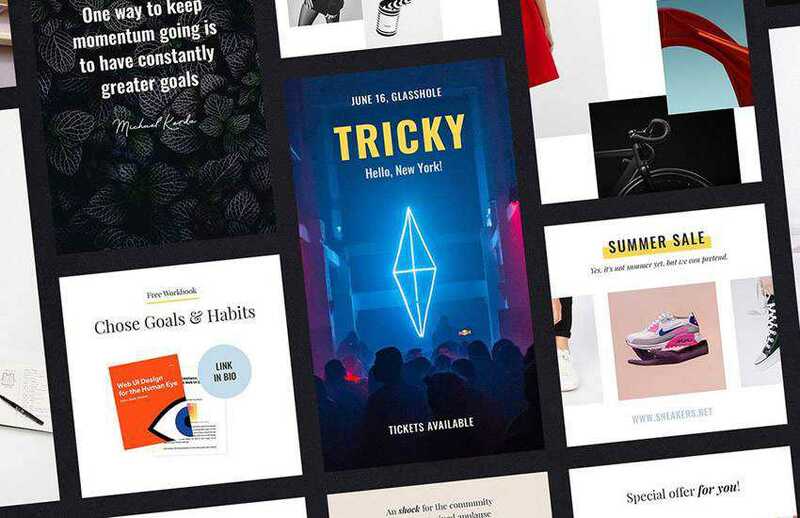 In this roundup, we’re featuring the best Instagram Story templates that will allow you to create and share your stories in a consistent manner and get them published quickly. Most importantly, you will be able to maintain your brand aesthetic and keep a consistent look for all your Instagram posts. 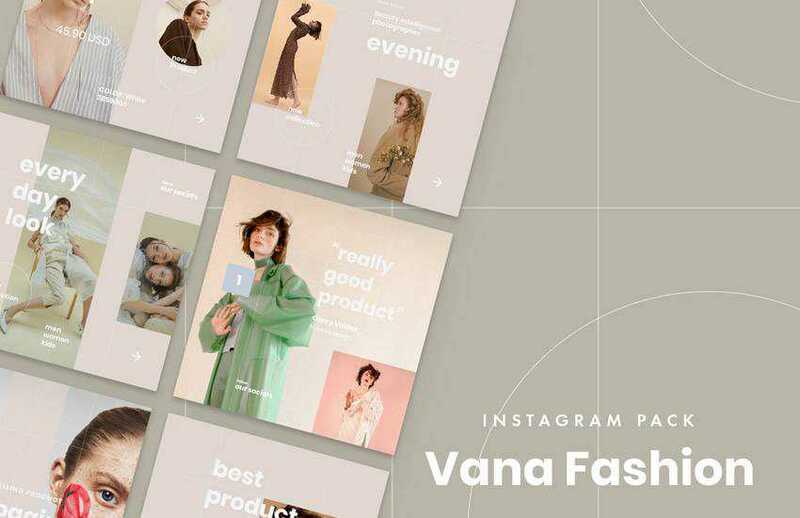 The Vana template is a stylish template pack for Instagram stories that can be edited in Photoshop as well as Sketch. 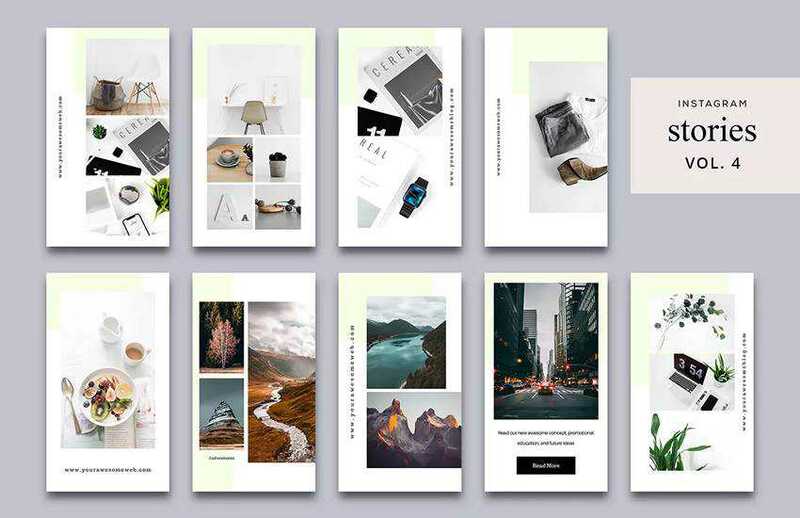 Thanks to the minimal design, you can use these templates for any type of post and you’ll receive 8 templates in total. 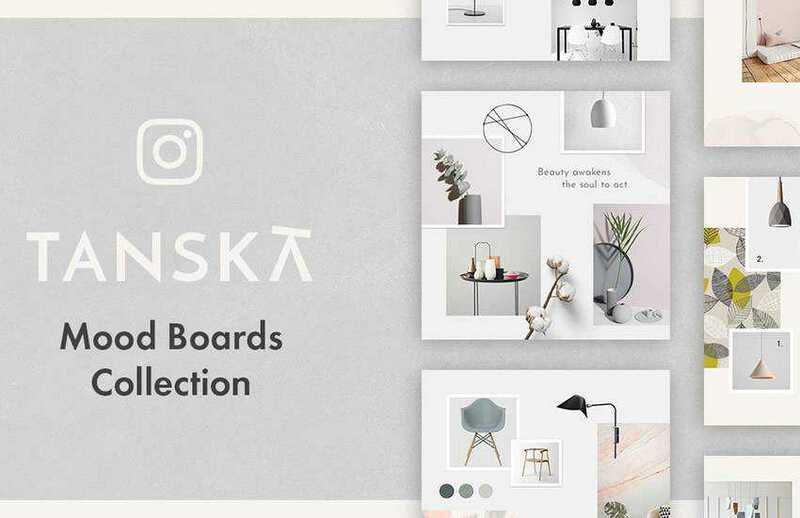 Consider the Tanska templates if you’re promoting a Scandinavian brand or lifestyle. 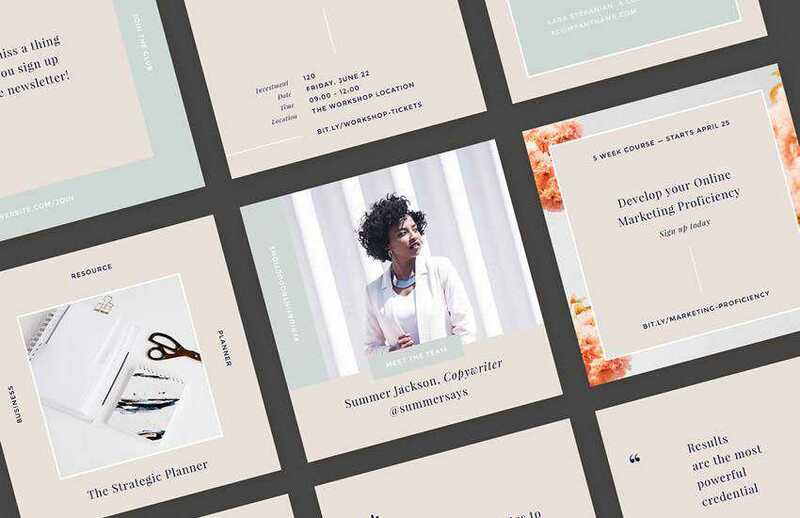 This collection comes with 10 unique templates featuring soft color palettes and stylish geometric shapes. Try the Instagram Stories Vol 4. if you’re on the lookout for an Instagram story template that features elegant and stylish typography. The template pack includes 9 Photoshop files and features a fresh color scheme. This free collection of Instagram Story templates features minimal typography and puts the main focus on photography. They are a great choice for a fashion, food or travel brand that wants a creative way to share their behind the scenes photos. 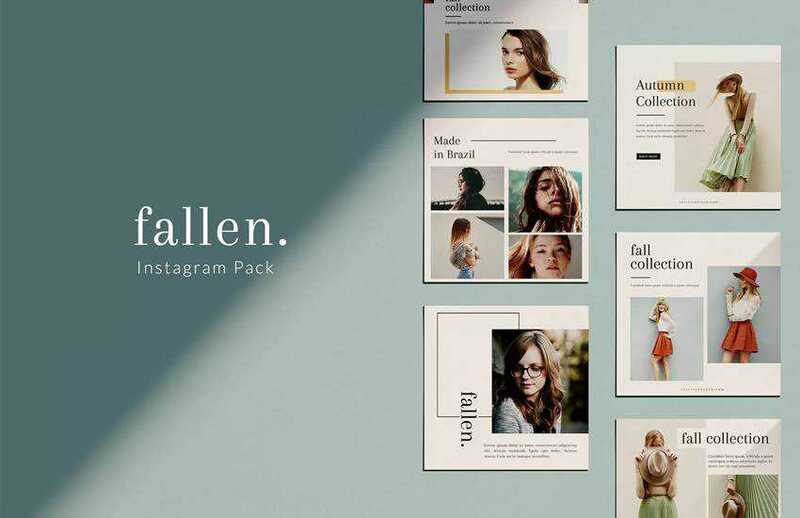 A feminine brand or a brand that caters to a female audience would do well with this Instagram template pack. The collection includes 9 stylish templates with elegant typography and soft color palette. You’ll find templates for quotes, regular posts, sales announcements, and more. 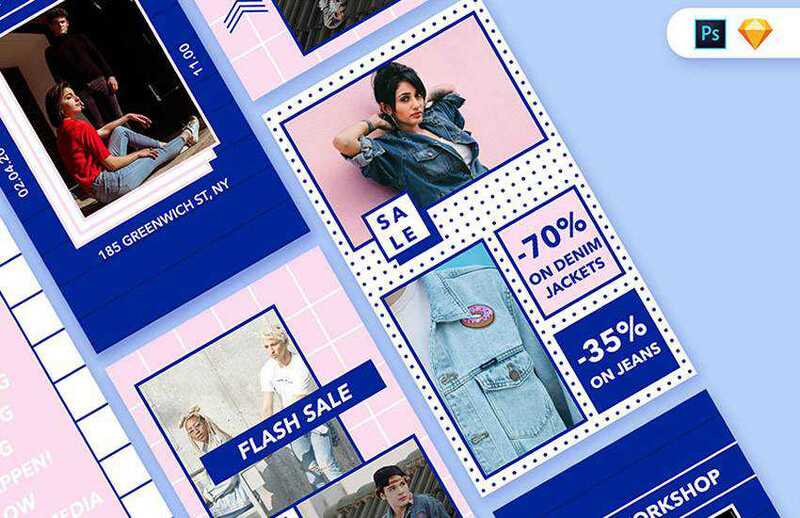 Try the Instagram Stories Vol 2 if you want templates designed to help you promote your products and feature the latest deal in your store or your website. This collection features a modern and colorful design that’s bound to stand out in the Instagram feed. A total of 10 story templates are included. 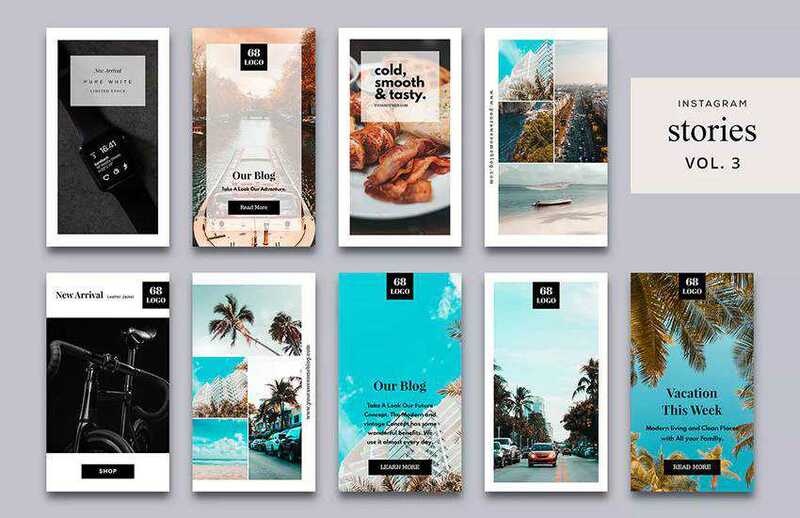 The Everyday Adventure Instagram templates collection is a multipurpose set of social media templates that are perfect for promoting travel, lifestyle, fashion, and other types of posts on Instagram. They have a colorful design and modern typography that’s easy to customize. Check out this free Instagram Stories template with a trendy design. The template includes a well-organized, layered Photoshop file and features a material color scheme paired with modern typography. 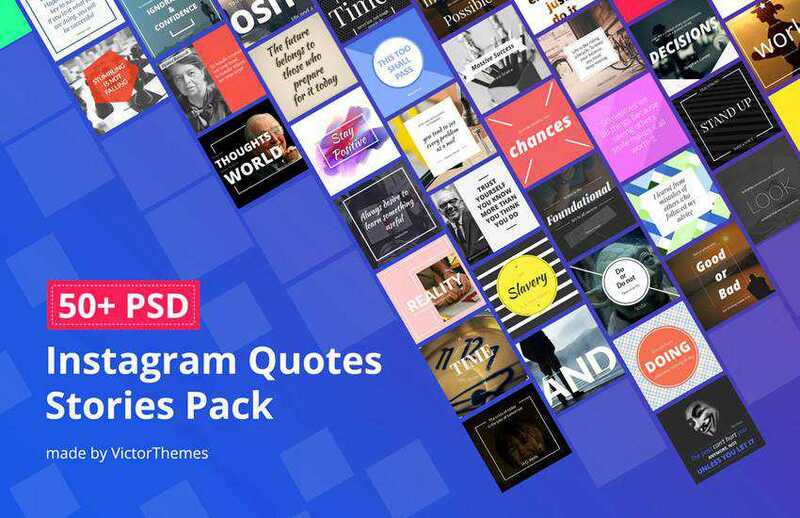 Quotes are one of the most engaging posts on Instagram so if you’re looking to motivate or inspire your audience be sure to check out this pack. You’ll get access to more than 50 quote templates that are easy to edit — simply replace the quote with your own, customize the colors, and save the design. 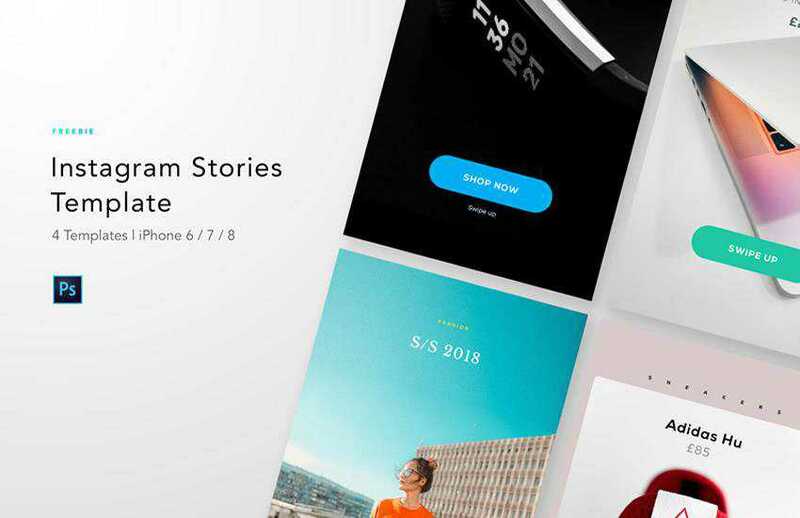 An elegant set of 24 Instagram Stories template that makes it easy not only to promote your brand and share quick updates but also to announce product launches, sales, and more. The template comes with smart shapes so it’s easy to replace the demo images and text with your own. 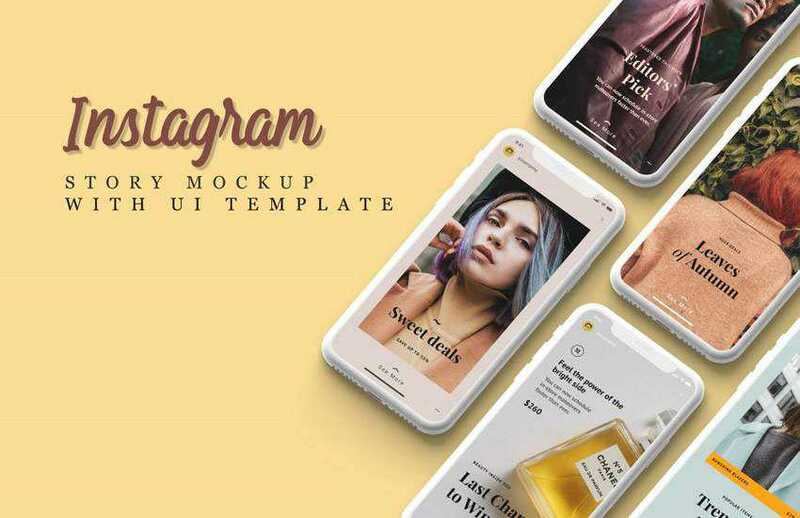 The Free Instagram Story Mockup templates include a set of 4 editable Photoshop files. All of the files make use of smart objects so you can easily add your photos. This template collection features an iPhone mockup so you easily showcase your app designs. The Instagram Stories Vol 3. 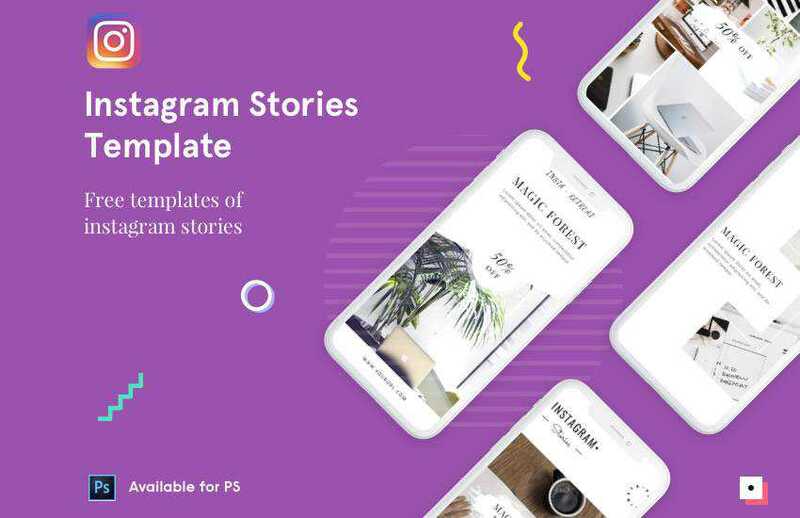 Is a collection of fun and fresh Instagram stories templates with various designs. You can make use of the templates to promote your sale, special offers, or announce a new product launch as well as share a quote or a behind the scenes photo. This minimal template includes several well-organized Photoshop files that are easy to edit. Thanks to a simple design, you can easily incorporate your brand colors and tweak the typography to your brand fonts. 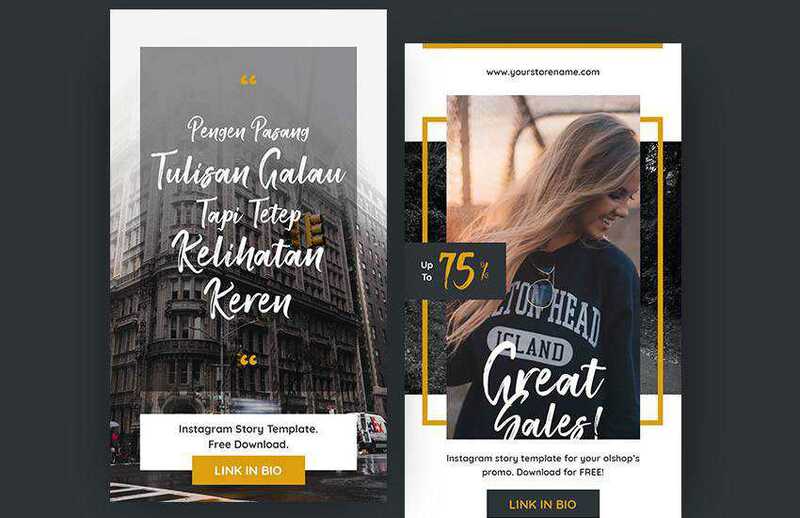 This free Instagram Story template stands out as it was designed with Adobe XD in an effort to improve the Instagram Stories’ layout. None the less, it’s still a stylish template that you can use to engage your followers and grow your following. This free template features 2 different designs; one for sharing quotes and one that’s perfect for quick announcements and getting your followers to take action. The template features a neutral color palette but you can easily customize it to your brand’s colors. The first template on this list comes with an elegant design that would be great for a fashion brand or influencer. The template includes 10 Instagram Story templates as well as 10 regular Instagram posts so you can keep everything cohesive. Instagram stories are a great way to connect with your audience and boost your Instagram engagement rate. 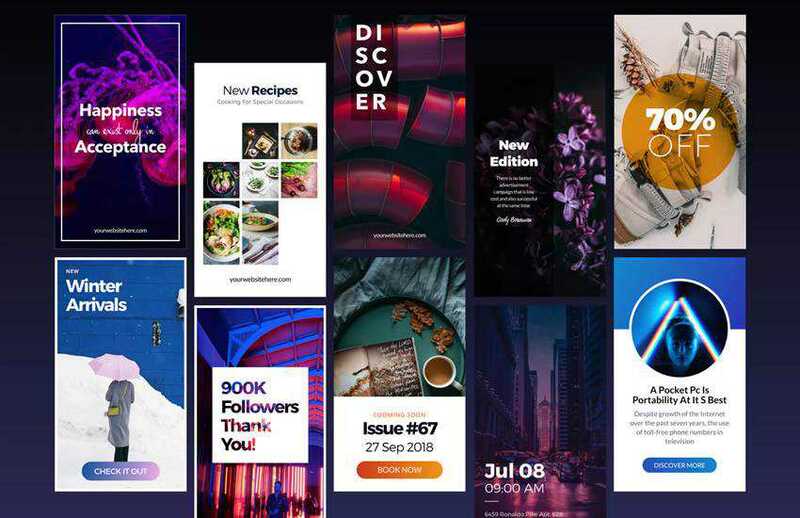 With the help of these modern Instagram story templates, you will be able to stand out among your competition and capture your audience’s attention so hurry up and download them today. 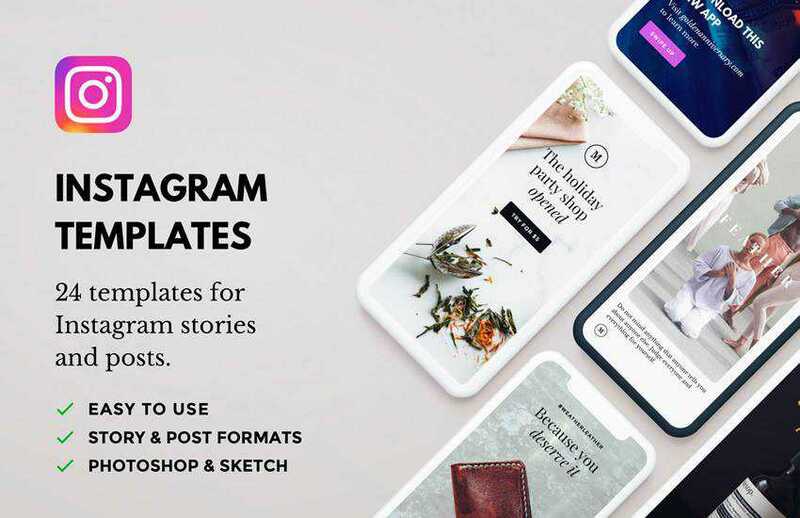 The post 10 Free Instagram Story Templates appeared first on Speckyboy Web Design Magazine. 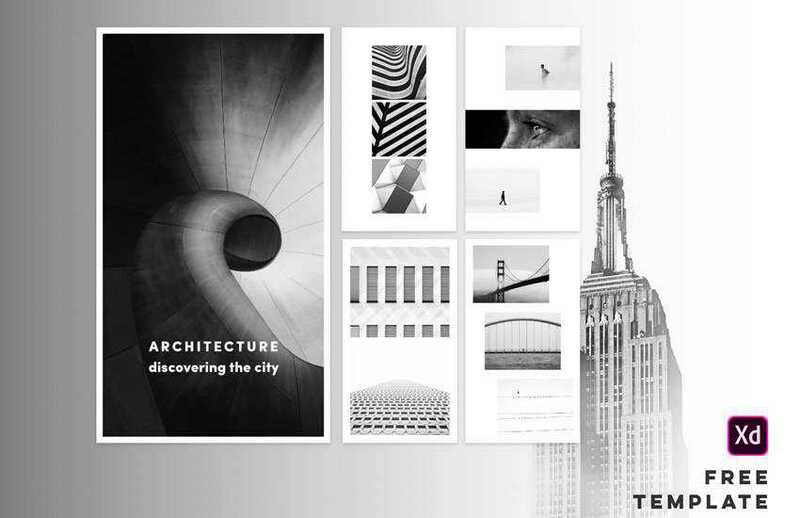 Convert your designs into beautiful websites.